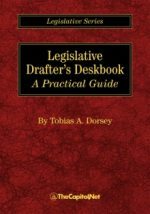 Named after Senate Parliamentarian Emeritus Floyd M. Riddick, this Senate document contains the contemporary precedents and practices of the Senate. It is updated periodically by the Senate parliamentarian. An appendix contains suggested forms for various procedures, e.g., offering motions or filing conference reports. It is updated periodically by the Senate parliamentarian. 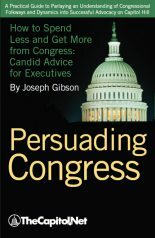 More than ten thousand precedents have been researched, analyzed, and incorporated into the 1992 edition. 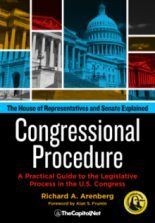 The 1992 edition contains all current precedents, and related standing rules and statutory provisions, through the end of the 101st Congress (1989-1990). 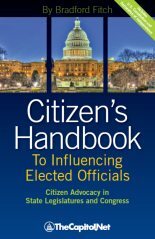 Published in 1992, this single volume presents significant Senate precedents established from 1883 to 1992. The document is organized around topics presented in alphabetical order. 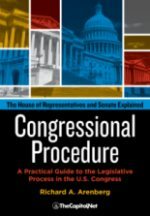 For each topic there is a review of the general principles governing a procedure, the text of the relevant standing rule, and, where appropriate, citations to the Congressional Record or other official publication pages. An extensive index is one of the document’s useful features. All Senate offices were provided with copies of this document. It is otherwise out of print but is available in library collections. 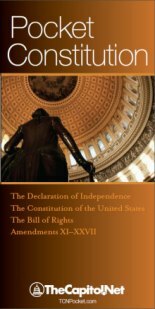 Also see § 10.50, Official Rules Publications of the Senate, in Congressional Deskbook.